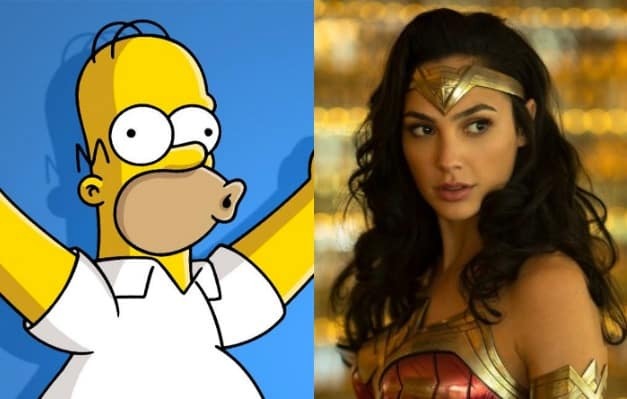 Wonder Woman star Gal Gadot will voice herself on the premiere of The Simpsons 30th season, which airs on TV tonight. While fans anticipate the premiere, Gadot has shared a new look at her character in the episode. The Simpsons will be premiering its historical 30th season tonight. The animated series has had so many famous cameos and writers throughout the years and that continues with the premiere of the new season. DC fans get ready because the new episode will feature Wonder Woman herself Gal Gadot playing the role of Lisa Simpson. No, Gadot is not replacing Yeardley Smith as the voice of Lisa. The Wonder Woman star will be voicing herself playing Lisa in a movie titled “Bart’s Not Dead”, as seen in a recent promo for the episode, which will air tonight at 8 p.m. ET/PT on Fox. Check out the post from Gadot below, which offers a look at her animated counterpart playing the role of Lisa. The promo for the season premiere already features a joke about Wonder Woman and the DC universe, so don’t expect The Simpsons to pull any punches regarding the DC franchise in the latest episode. be sure to tune in tonight to see how big of a role Gadot will play in the episode. Though it’s presumably only a minor role for the actress, it’ll hopefully be enough to tide fans over until they can see Gadot starring as the Amazonian hero once again when Wonder Woman 1984 hits theaters November 2019. 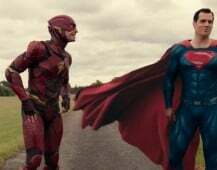 We’ll be sure to keep you updated on all news regarding the DC universe as more information becomes available. Will you be checking out the premiere of The Simpsons tonight? Who has been your favorite cameo on the series thus far? Let us know your thoughts in the comments below!